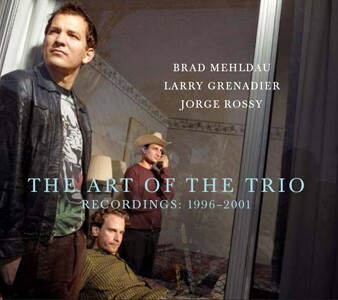 Nonesuch recently announced they will be releasing a 7 disc box set of Brad Mehldau’s complete Art of the Trio series. It includes all five volumes (vol. 5 is two discs), with the seventh disc containing unreleased material. It will be released on December 6, and the price on the Nonesuch website is $38 – which is a pretty sweet deal on a ton of great music. Mehldau fans will probably already own at least a couple of these, if not all. If you haven’t checked out any of the albums, I’d suggest starting with the first two volumes; if you like those, consider grabbing the box, especially considering the price. Check out the Nonesuch announcement here.